She has dominated the small screenfor eons with some of the longest running soaps. 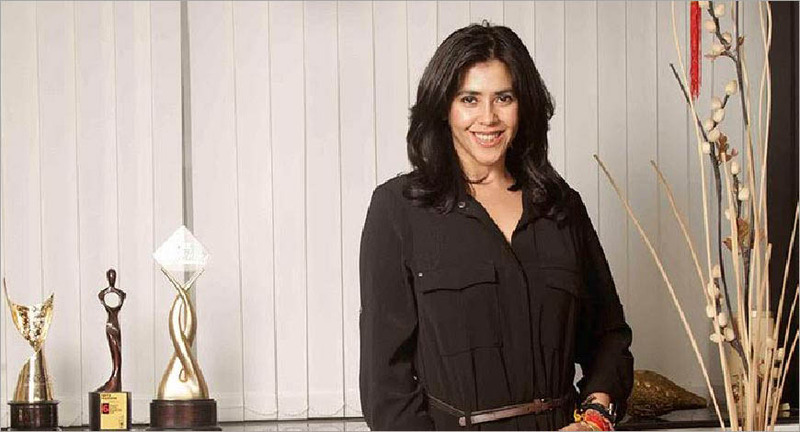 With the coming of digital, Ekta Kapoor, MD & Creative Head, Balaji Telefilms, has taken up the challenge of transformingher production house into a digitally relevant entity. Her recently launched OTT platform, ALTBalaji, is seen as a serious competitor in that space after it managed three million downloads in just five weeks of its launch. On her visit to the capital, we caught with Kapoor, who spoke about issues ranging from staying relevant in the age of disruption brought in by digital, intellectual property rights and re-creating stereotypes on TV. How has the response to ALTBalaji been so far? I’m actually shocked by the response. We were looking for 8 lakh downloads in five weeks and we managed 3 million in five weeks. But I want to put out more shows; in the coming months we are planning to put out 4–5 big shows on it. How tough is it to juggle between creating content for digital and TV? I think we all peddle between different roles every day. I am not doing anything special. We did Naagin and Udta Punjab in the same year. Also, the palette is constantly changing as we get into smaller and smaller towns. Was the journey from traditional to digital challenging in any way? It took time for us to adjust. I met a whole new set of writers. We fought the constant battles like—this is not TV, I hope you get it, writing is going to be very different on digital, big players know content because they come from America, you won’t understand because you come from TV, etc. But what TV has taught me is storytelling. I did my research and for one full year we worked on the app to develop the right stories. So on digital I actually began as a struggler. With ALTBalaji do you feel there is more scope for progressive and edgy content? I won’t call it progressive; I will call it individualistic content. The device is in your control and youcan make the choice whether you want to watch youth-centric content, political dramas or edgy content. But with TV it’s a different ball game as it’s no longer just about your choice. How do you plan to compete with the likes of Amazon and Netflix? They have the backing, money and great talent. But I can’t look at the negatives. I look at my positives and work. Do you think there is a need to revisit intellectual property rights in the broadcast space? Shouldn’t content creators like you have a stake in it? The debate about Intellectual Property Rights (IP) being with producers has been going on for a long time. But channels have had great profit on certain shows and they have lost a lot of money too on others. While there is debate on whether we should have the IP or not, we are in the process of having our own app where we own the IP and we become the channel. At the end of the day, it’s going to be a big war and it will take some time. Moreover, television economics is such that if tomorrow you own the IP, your own monetisation will become very weak because you will have just one show to sell. When channels sell bulk of shows, they end up monetising it better. The fact that they should share that profit with the producers is definitely a debate that we should take on. But to own IP of TV shows with the kind of volume that we own on TV may not be the best thing to do. Why are GECs constantly re-creating the stereotype? Can’t we make the content more contemporary and edgy? The basic rule is that we don’t question on TV. We want to entertain and we give a lot of family values; we give a lot of real stories also. But they cannot be questionable stories. They have to fit in the realm of acceptability by everyone in the family. We are now making shows which are way more progressive. But it becomes a little more radical when it questions age-old values. Then it becomes a bit of a problem. On TV, you have to make it way more conservative and way more palatable and that’s what we keep doing while creating content.